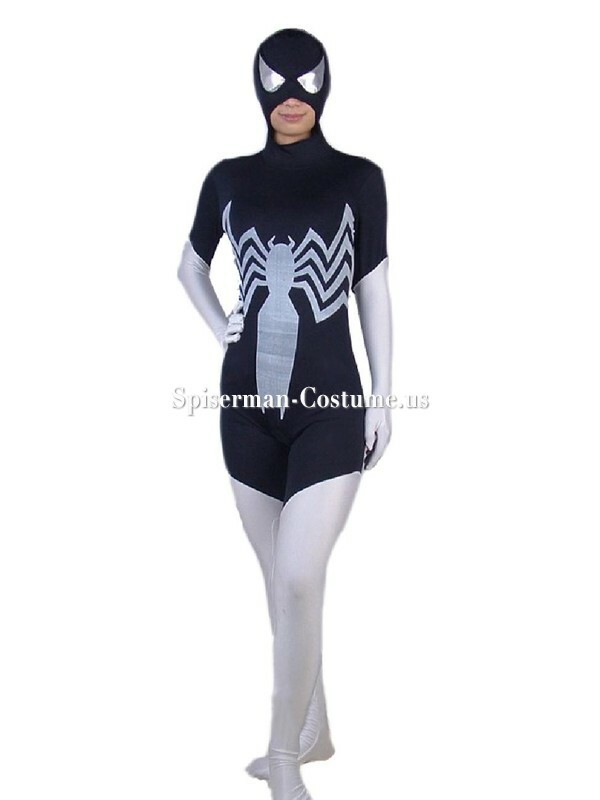 A full body covering zentai suit with lycra material adopted,the zentai suit is white and black colored. it's the open mouth style spiderman.the siper on the front is very big than normal. and eyes are silver material,but can't see out.on the back there has no siper,but we can add for you.